Why Not Consider Gaming Monitor Under $200? Gaming monitor under 150 are very difficult to find, yet no impossible. Just be ready to realize that you get what you pay for. These monitors are cheap, and certainly not the cream of the cream out there. When it comes to gaming, your gaming experience depends on the graphics that you see, depending on the quality of monitor you are using. When it comes to office work, the productivity of your work revolves around the type of monitor that is on your desk. How so? If your monitor can accommodate two windows side by side easily, or if it has those features that can enhance the productivity of your work, then you are in good hands. From gaming experience to productivity, it all revolves around what kind of monitors you possess. So you see, monitors play a big part in strengthening the quality of your experience. The question is how to choose which monitor is the best and still lie under your budget? That is a difficult decision to make, having numerous monitors out there in the market for you. First let us make you aware of some factors before you go out to buy new monitor for yourself. You can’t technically get a full fledged gaming monitor for this price; however, you can get something that can come close to them. A full fledged gaming monitor is at least twice as expensive. Therefore, your expectations from these monitors should be proportional to the price that you are paying. They do not have high refresh like 120 or 144Hz nor they they have fastest response time. What they do have is a great price point and satisfactory features to satisfy your gaming needs. There is a saying that you get what you pay for. That is usually the case with almost all electronic devices. Although the more expensive you go the more confused you will get between the features, gaming monitor under 150 are basically the same across the board. In the end it would depend mostly on your brand loyalty. You can find monitors ranging from 22 inch to 24 inch, all these sizes are suitable for gaming. Anything lower, I would not recommend. With a 21.5 inch screen, BenQ GW2265HM is recommended for gamers looking for a monitor lying under a budget of above a hundred bucks a bit and having exquisite qualities. It has a screen resolution of 1920 x 1080. With a 60 Hz refresh rate, it sure does know how to deliver good graphics to a gamer. One of the unique features of this monitor is the Low Blue Light technology that prevents heavy eye strain on your eyes. When it comes to connectivity options, it offers HDMI, DVI and VGA ports. It is embedded with built in speakers that are considered of not a great quality but are still worth your money. Equipped with a 4 ms response time, it has a capability of VESA mounting. This sleek designed monitor is light on weight and delivers good image quality which is a plus point for gamers. 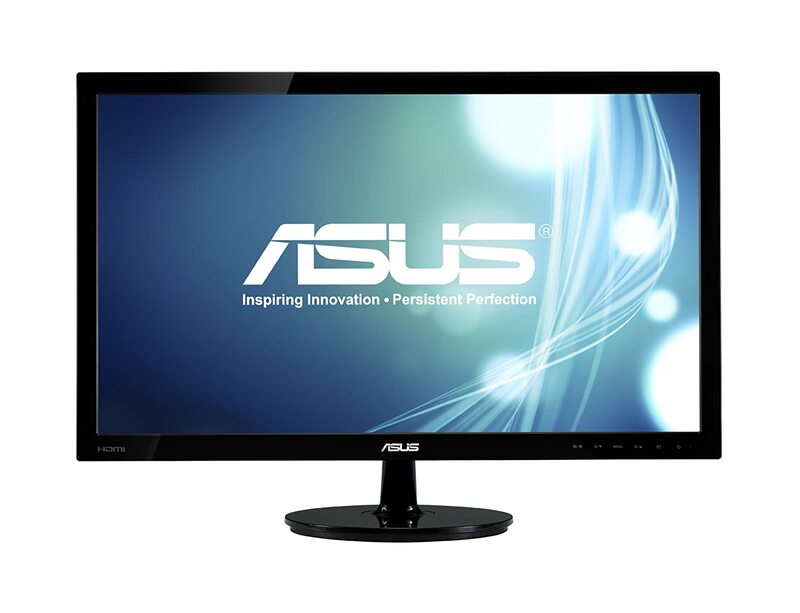 Another monitor in our list is ASUS VS247H-P. This 23.6 inch monitor is enclosed with a TN panel featuring color accuracy and viewing angles which are almost too gloomy. With a capability of VESA mounting, this monitor features a response time of 2 ms. As we have stated earlier that the lower the response time, the more better experience gamer will have. This response time provides a smooth gaming experience for the user. It has a screen resolution of 1920 x 1080 and a refresh rate of 60 Hz. It has numerous connectivity options such as HDMI, VGA and DVI ports. When it comes to design, it has a classic matte based texture and is physically light weight. It also comprises of an audio jack. With a price tag just under $150, this monitor is definitely worth your try. One of the striking features of this monitor is the 24 inch wide screen that lets the user enjoy his movies with a great wide view. For gamers, this display is exquisite, offering vibrant graphics and view. For gamers who want to enhance their experience with a good sound quality, its built in speaker are just what you need. It is based on a TN panel with a screen resolution of 1920 x 1080. With a 2 ms response time that is ideal for gamers playing competitive games, it has a refresh rate of 60 Hz. The connectivity options include HDMI, DVI and VGA ports. It is facilitated to feature VESA mounting capability. The AntiFlicker technology is a plus point for gamers. This matte screen designed monitor is an ideal choice for gamers looking for a monitor under $150. With a 23.8 inch screen, it is one of the best gaming monitor under 150. Featured with an IPS panel, it provides great color accuracy and viewing angles for gamers wanting to experience good graphics. It provides the user with clear and crisp images and has a 1920 x 1080 screen resolution with a 4 ms response time. In connectivity options, it has DVI, HDMI and VGA ports. One of the drawbacks of this monitor as compared to the above monitors in the list is that it doesn’t support VESA mounting. It has a sturdy base and is ultra thin in build. This monitor is just under $150 with such amazing qualities. What more could a user want? 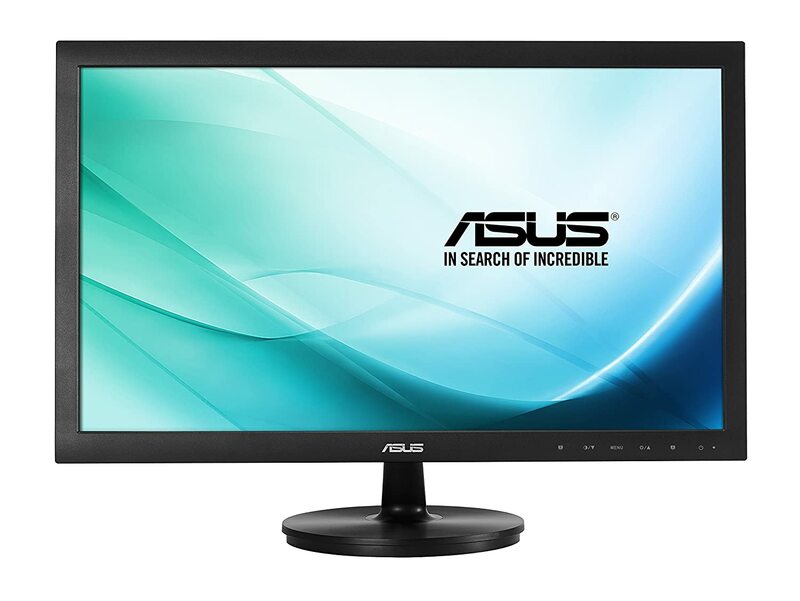 One of the monitors in our list of gaming monitor under 150 is ASUS VS238H-P. It offers good quality of images and has a screen resolution of 1920 x 1080. One of the advantages of this 23 inch monitor is the built-in power adaptor which saves the user from having that huge box with power cable. It is based on a TN panel with a refresh rate of 60 Hz, the 2 ms response time is ideal for gamers playing fast motion games. It has HDMI, DVI and VGA connectivity options. Supported by VESA mounting capability, this monitor is just under you budget with exciting features. Most of the monitors under $200 have almost the same features as monitor under $150. With the exception of a few great monitors, you are better if you just saving yourself the extra $50 and spending it on something else. In any case, you should check some of the monitors in that price range as well. Perhaps you will find something better suited for your needs. If you are looking for a gaming monitor you need to pay attention to some of the features and you need to know what they entail exactly. At this price point, although you cannot ask for more, it is better to have the knowledge of the feature just so that you know what you are getting into. Sometimes people get disappointed by budget components like gaming monitors when they start expecting too much from a product that wans’t really designed for a high demanding task. Being the number of times your screen is refreshed or the number of frames shown on your screen in one second, refresh rate should be taken into account before choosing any monitor. For example a refresh rate of 120 Hz would be more responsive as compared to a refresh rate of 60 Hz. Gaming monitor under 150 currently can only be had at 60 Hz. Monitors beyond 120 Hz and beyond refresh rates are currently quite expensive. Perhaps in the future the price for this technology will come down. But that will take some time. Response rate is the measure of time from an input to reach the screen and then back simultaneously. If your monitor has a 6 ms response rate then it would take 6 milliseconds for your input to enact on the screen. Eventually, the lower the response rate you have, the more smooth game you will experience. If you are a gamer, then a monitor having a response rate of 5 ms or low should be your ideal choice. Generally for a monitor with a TN panel, you can expect a response time of less than 2 ms; however, with a monitor featuring IPS panel you they typical is 7 ms response time. Any monitor based on an IPS panel would bring you superior color accuracy and viewing angles which is suitable for a user playing a competitive game. On the other hand, a TN panel as compared to an IPS one, represents inferior color accuracy and viewing angles but has higher response times. Before buying a monitor, one must also consider the type of panel that monitor has. Now that you know the factors to consider before choosing a monitor, we have made a list of some of the best monitors that won’t be heavy on your pocket and would still represent decent qualities. Having a monitor under $150 packed with exquisite features is the perfect combination. Well it is tough to decide which brand makes the best possible monitor for gaming at a certain price range. Almost all of the major brands are involved in gaming nowadays. There was a time when only a specialized wing of a major brand was involved with manufacturing gaming monitors; however, these days they have gone mainstream. This is partly due to the reason that gaming monitors are almost always better than their multimedia counterparts in terms of performance and visual quality. At the same time, they are also almost always more expensive. They are not only a treat to the eyes, but they are also amazingly suitable for professional work. 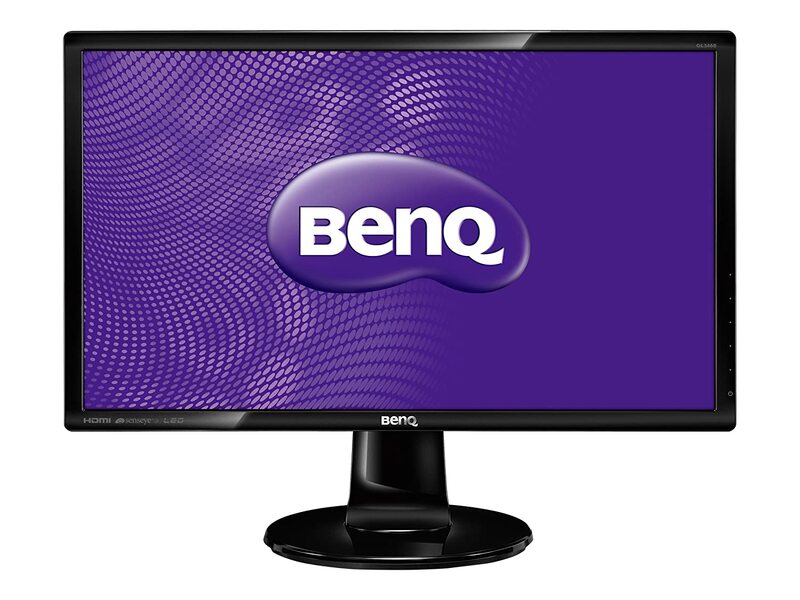 One of the pioneers for gaming monitors is definitely the BenQ. 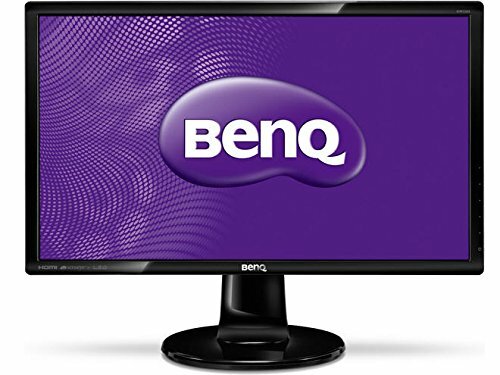 BenQ was the only major brand that went into the market primarily for gamers. Almost all of the their monitors are designed around the concept of gaming. Although BenQ has a lot of competition in the mid and high end gaming monitors. In the gaming monitor under 150 range, BenQ does quite well. They almost always have specific set of features in their monitors designed for gamers. These features aren’t much but they can go to show who the monitor is essentially aimed towards. 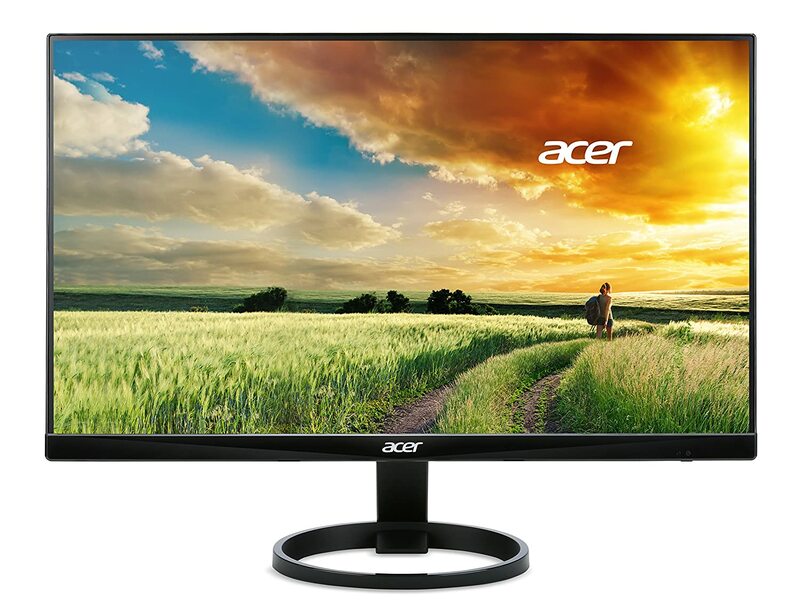 Other than, almost all of the other major brands such as ASUS, Dell and Acer have great monitors at this price point. They aren’t specifically designed for gaming, but their features can be quite adequate for a casual gamer. You don’t have much of an option for choosing features when it comes to this monitor. A good gaming under 150 is any monitor that looks good and has at least the relevant inputs, 60 Hz refresh rate, 1 – 5 ms response time and decent color reproduction. Some of these monitor come with VESA mounts so they are ideal for an amazing multiple monitor setup too.